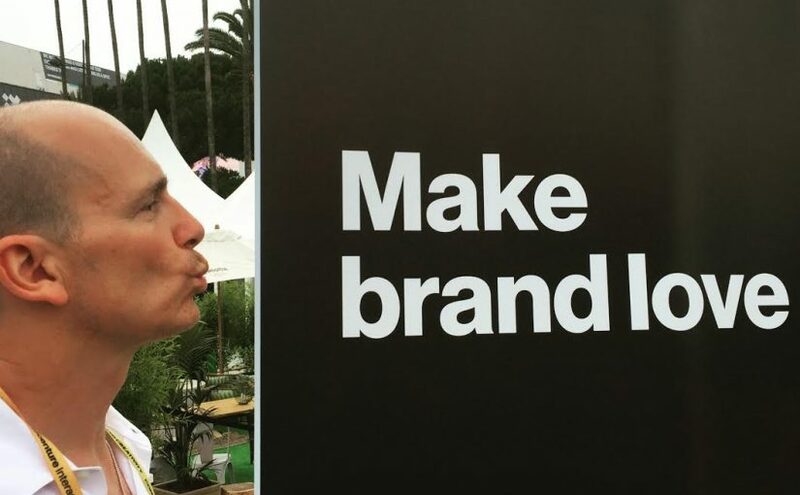 As I returned from my fourth trip to Cannes Lions, I was left excited, inspired and, quite honestly, exhausted from the hyper-concentrated deluge of stimuli that is The International Festival of Creativity. Although my experience was very positive, I’ve been hearing a fair amount of criticism about what Cannes has become—that it had morphed into something far too big and unfocused. Of particular note, ad-giant Publicis Groupe announced that it would pull out of the festival next year and WPP shared that their trepidations as well. The litany of gripes included the dominance of tech companies, the attempts of the Lions organizers to extract even more money from festival-goers, and an overload of corporate sponsorship; These are all true. There has also been much negative commentary about the focus on Ad Tech, AI, analytics, VR, and even “good deed” fatigue instead of the creative work. Again, all very relevant. But despite the less glowing sentiments, Cannes still brings together an amazing array of speakers, events, learning, people, excitement and—above all—creative work from around the globe. Cannes still inspires me, makes me want to try harder, practice my craft better and constantly look for new ways to innovate. I flew home thinking about our industry in new ways. I was excited to hear from marketing luminaries such as David Droga, Bob Greenberg, Madonna Badger, John Hegarty and so many more. Here’s the thing: Cannes Lions is still one of the creative highlights of the year. Where else can you see speakers of this caliber? Where else can you feel like current themes and trends are literally coming to life in real-time? When do you see such a curated collection of great creative work? Most of all, I walk away with a clear snapshot of how the marketing communications industry is changing—for good and for bad. To truly benefit from the experience, you need to look for what is great about Cannes and extract every juicy morsel. Whatever offends you or leaves you less than inspired, spill it out like a lukewarm glass of Rosé and move on. Here are just a few of the big winners I think are well worth the time to watch, ponder and enjoy. Many campaigns follow one of Cannes key themes which is social responsibility and purpose led business initiatives. This has been a clear thread throughout the festival for the past few years. The Fearless Girl statue, created to honor International Women’s Day (and asset management company State Street) won three Grand Prix awards this year, including PR, Nontraditional Outdoor and Glass. To me this campaign feels so iconic. The juxtaposition of the Fearless Girl statue to the Wall Street Bull is understandable anywhere in the world. This is an exemplary use of simple visual storytelling to send a universal message. Boost Mobile won three Grand Prix awards for Boost Your Voice, a project that turned Boost Mobile stores in the U.S. into voting booths for the Presidential Elections last November. Boost stores are located in communities with fewer polling stations, so Boost Your Voice allowed more equal voting access. Leveraging a powerful insight and piece of data, Boost Mobile activated a campaign that truly made a cultural impact. This is what authentic brand purpose really is. In the project Care Counts, Whirlpool installed washers and dryers in at-risk public schools across the U.S. to demonstrate how having clean clothes dramatically impacts attendance rates. This campaign brings to life such a smart and clear insight. It should be used in Ad Schools as a textbook example of how a great piece of research can translate into great creative. Last year, the Van Gogh BnB campaign, in which the Art Institute of Chicago joined forces with Airbnb to recreate Van Gogh’s Bedroom painting as a real room visitors could stay in overnight, won 14 Cannes Lions awards. This year it picked up the Grand Prix for Creative Effectiveness. This campaign is the perfect marriage of a great idea, immersive physical experience, flawless execution and great PR. Also picking up a Cyber Grand Prix was this witty campaign for Mailchimp, which plays on people being unable to remember the brand’s name and takes this to the nth degree. What is so compelling is the absurdist humor, and artfully directed spots that do a great job of introducing the brand and its name to the world. The “Portraits Completed” campaign won a Gold Lion and a Bronze Lion in Print & Publishing. But the campaign extended beyond the excellent print work. This work is so good, because it is so simple, and so right for the brand. The execution was flawless and the many extensions of the campaign were filled with surprise and delight. The top honor in Film Craft went to this striking music video for Territory by The Blaze, directed by The Blaze. Production company: Iconoclast, Culver City. I wanted to include this music video simply because of its beauty, power, and emotional impact. It provided a window into a culture I was unfamiliar with, told a stunning narrative, and the music and images were, for me, moving.